Penn and Tylers Green share a single, very large and varied Conservation Area which crosses the District boundary. The combined area covers about 85 acres with some 329 properties, 50 of which are listed. Penn is the more rural settlement, lying both within the Chilterns Area of Outstanding Natural Beauty and the Green Belt. A detailed account of the Conservation Area, its houses and many of its main features can be found in the book Mansions and Mudhouses. The following statement clarifies the basis that informs all responses to selected planning applications, P&TGRS has been consistent for some 15 years and the Penn Society before that. 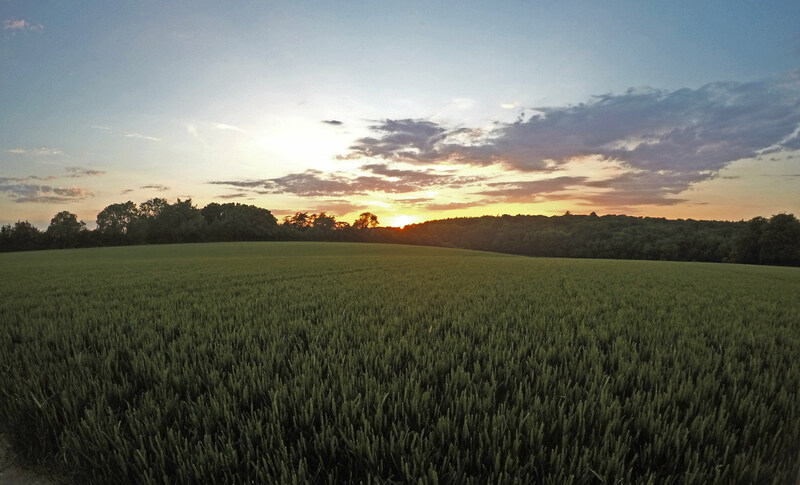 We live in an area where much of the landscape is designated Green Belt and is also part of the Chilterns Area of Outstanding Natural Beauty. Additionally, we have a Conservation Area at the heart of the villages with many listed buildings. This of course does not mean that in planning terms life is made any easier because, in order to preserve and protect these designations, difficult choices often have to be made. We only comment on significant local planning applications which could affect the wider community and strive to maintain a balance between progress and conservation. The designations referred to carry considerable weight in determining our approach, in which we endeavour to remain consistent. We cannot “cherry pick”. Examples of planning applications on which we have commented in the past year where location in GB and AONB is the primary concern are those at Fieldgrove Nursery and Pennoak Farm in Hammersley Lane and the site of the Football Club grounds in Elm Road. We continue to monitor the position with Penn School. Pressure to develop more housing is considerable and much effort has been made in reviewing Local Plans and commenting on Green Belt development options put forward by both WDC and CDC. At this stage we are pleased there is a clear reluctance by both councils to see the ‘horse fields’ in Penn and Hazlemere Road succumb to major development on this Green Belt and AONB site adjacent to Common Wood. The final outcome remains subject to Planning Inspectorate approval of the New Local Plans for WDC and CDC. In February, 2017 the Government published its White Paper ‘Fixing Our Broken Housing Market’ heralding a new method for calculating housing need which will likely put more pressure on Local Authorities to deliver more housing. Changes to the NPPF are imminent reflecting this. New Local Plans have yet to be agreed 4 years after the process started. The Residents Society continues to engage at a senior level with both District Councils on significant planning and highway issues with the support of members of our Parish Councils, local residents and our District and County Councillors.